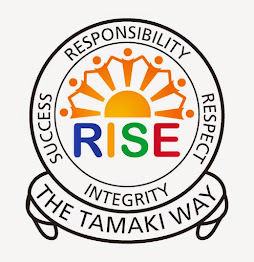 On Thursday , After technology had finished , All the year 8's had to stay behind because it was a day for the year 8's where we stay there and learn about what Tamaki College does at school . For me , Ricky and Vuni , It was good experience for us because we were going there next year so this was a good chance to see what it is going to be like at Tamaki College next year . When we got there , We had to eat first . After that , Our first session was with a math teacher . Our first game was , Two Truths , One Lie . The game was to guess between three jobs and see which two were true and which one was a lie . The three jobs was working at a restaurant , working as a banker , and working as a forklift driver . We took our time figuring out what the truths were and which job was the lie . I thought it was banker but I got it wrong because he said he used to work at a restaurant in G.I but there was no restaurant there . So the lie was working at a restaurant . We then played battle ships . That had something to do with maths because of the X and Y axis . Most people knew how to play that . If you do not know what it is , Search up how to play it . We played for some time . We managed to get all of his ships out but for me , He only got two of my ships . So , I think the students won this battle . Our next class , was science .